The dictionary defines a magazine as ‘a periodical publication containing articles and illustrations, often on a particular subject or aimed at a particular readership.’ A school magazine, however, is a much more valuable document than this. For not only does it serve various needs of the school community at the time of publication, it also, to a degree, preserves something more ephemeral and elusive: the sound of contemporary ‘voices’ and the latent ‘beat’ of the School’s heart at that time. 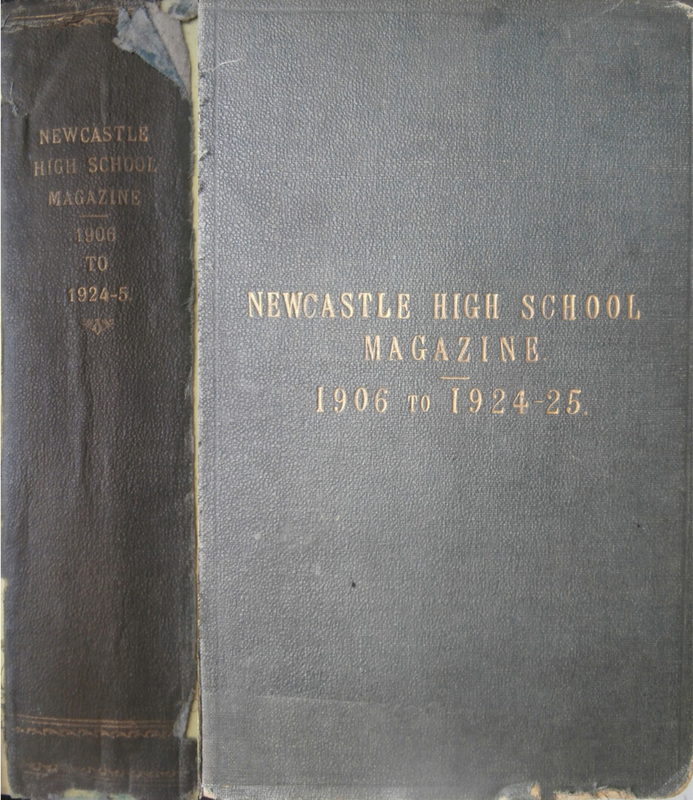 The very first magazines belong to the years of Newcastle High School for Girls, of course, and are preserved in the Tyne & Wear Archives at The Discovery Museum in a single, hard-backed volume. The individual issues have all been bound together without their distinctive dark-green covers and the only existing copy of this ‘book’ is now rather fragile: frayed at the edges and without its spine. Sadly, the first three editions have not survived, so the archived magazines start with Issue No. 4. Yet this ancient volume speaks to any visitors to the Archive Searchroom in a special way. At intervals, signatures and annotations in faint ink in the corners of pages make it clear that some of these magazines were the personal property of Miss Gurney, Miss Nancy Cooke (School Secretary in Miss Gurney’s time) and Miss Dickinson. Because of this, it is an irreplaceable piece of history. As editor of the magazine between 1987-2014 and content creator for the blog and Heritage site, I can concur with the views of A.C. and F.M. 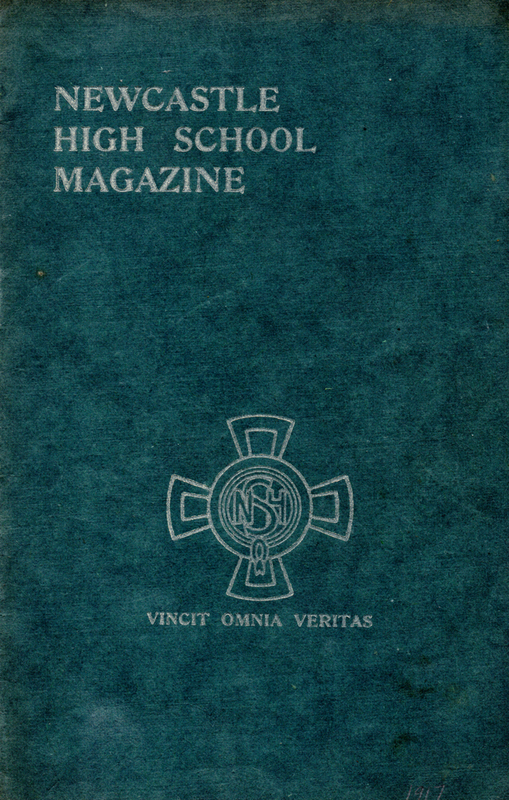 on the magazines: ‘Ephemeral as perhaps they seemed to be, the magazines have proved to be historical documents for they have been of great value in confirming dates and in giving details when memories have become hazy and somewhat inaccurate.’ Post-merger, NHSG is now in the process of beginning to weave the histories of both predecessor schools into a single narrative. The first stage was to start creating a digital archive and in June 2017 it was my job to liaise with Tyne & Wear Archives in order to begin digitising the earliest magazines. It was a nerve-wracking process for both myself and the archive staff as some of our oldest artefacts were carefully wrapped up and transferred to Tankerville ready to be collected by SDS Heritage in order to be recreated in digital form. Owing to this, the first 1,300 pages can now be viewed online.